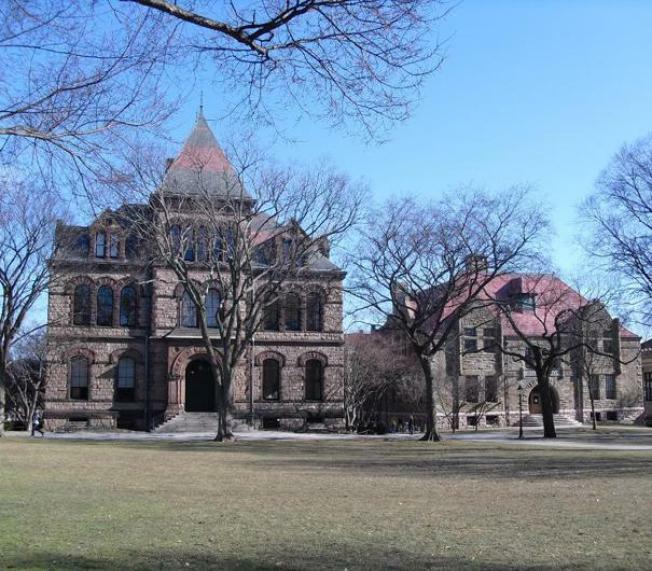 Brown University in Providence, RI. The women's basketball coach at Brown University has been charged with assaulting her husband. The Providence Journal reports Sarah Behn was charged with assault and battery on a family or household member after an incident at her home Sunday in Massachusetts. A police report filed in Foxboro, Massachusetts says Timothy McGahan, Behn's husband, told officers she pushed him and pinned him against a wall. Behn's attorney, Jerome Sweeney, says Behn denies that and it's a private matter. The report says Behn told officers McGahan yelled at her mother and she intervened to push him away. It says she said they're getting divorced. Behn became the head coach in 2014. She was a star player at Boston College from 1989 to 1993. Brown didn't immediately respond to a request for comment.